On April 1, 2017, while addressing members of the association of student survivors of genocide (AERG) and former student survivors of genocide (GAERG), Gen. Mubarak Muganga, new military commander of Kigali and the Eastern region, told them that their problem of unemployment is just temporary, because they will be the first to be picked to go to fight in any new external military expedition. 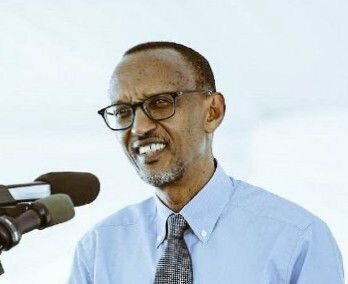 He said that he was only waiting for his boss, Commander in Chief President Kagame, to decide where and when to move and hence end their unemployment. He reminded them that they were part of the Rwandan army. In a thinly veiled expression of Rwandan expansionist policy, the general said any place that has one Rwandan is considered a Rwandan territory and anyone attacking him or her immediately becomes a target of the Rwandan military expedition. In order to win their hearts, the Rwandan general told them that the existence of the Rwandan army was to protect survivors. He revealed that the president has bought enough arms to protect survivors of genocide and their children against anyone harboring genocidal ideology. Indeed, the last job the young survivors of genocide want is to die in expeditionary wars to plunder resources of neighboring countries to enrich the current political-military oligarchy or to cause regional chaos in order to make Rwanda look like an oasis of stability, hence giving a new lease on life to the repressive RPF regime. They deserve better support and empathy. In addition, by singling out young survivors of genocide as the primary concern of the Army and not every citizen of the country and bragging that the president has brought them enough arms to defend them and their children against people with genocidal ideology, the general is inciting the rest of the population against them, particularly critics of the government. We may recall that every critic of the government, irrespective of ethnicity or religion, is labelled as revisionist, genocide denier or someone with genocidal ideology. Furthermore, the thinly veiled expansionist and destabilization policy declared by Gen. Mubarak is likely to arouse animosity against people of Rwandan origin in the whole region. to stop its expansionist and regional destabilization policies. Etienne Masozera, who chairs a coalition of Rwandan political parties, can be reached at [email protected].